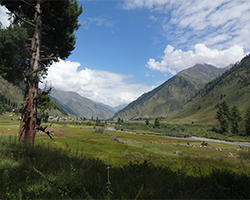 Kashmir offers a unique opportunity to play golf in invigorating surroundings, where the wind whispers through enormous trees of chinar and stately pine. 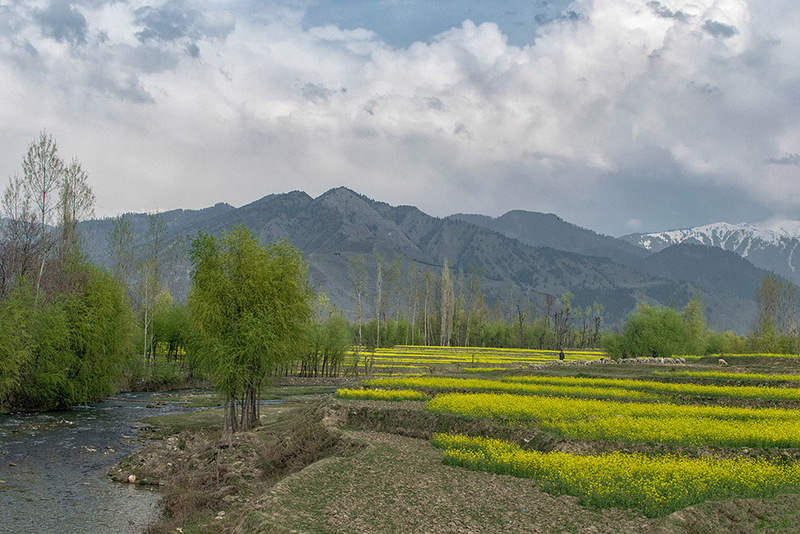 In the verdant golf courses at Srinagar and Gulmarg, you will be able to play for longer hours than you can in the plains because of the lower temperatures – Srinagar’s highest temperature seldom goes above 35°C. 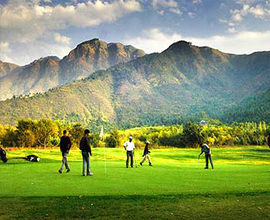 Srinagar offers an exclusive opportunity for golf enthusiasts to play almost through the entire year. During the summers, while the plains are boiling, Srinagar's temperate climate allows the golfer to play longer hours without getting tired. During winters, the courses in Srinagar are closed, only when snowbound. The course at Gulmarg is like nothing you’ve ever seen or imagined before. Situated at an altitude of 2,650 m, it is the highest green golf course anywhere in the world. The layout of the course too is strikingly different from most golf courses – the land slopes and inclines along the complete area of the course, which has a par of 72. 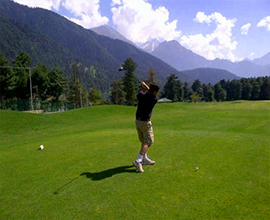 The historic Gulmarg Golf Club was started in 1911 by the British who used the place as a holiday resort. The origin of Gulmarg as the Golfing Mecca of India goes back to the late 19th century when a 6-hole course was made in 1890-91 by Colonel Neville Chamberlain - the greens were known as browns in those days. The first Golf championship was played at Gulmarg in 1922. The Nedou's Cup was introduced in 1929. In 1930, ‘The World’ beat Scotland. The course remains covered under snow from December to April. One can hire Golf Sets and balls from pros who are registered with the Tourism Department. The Golf Course is under major renovation these days, with many greens and tees being relocated. It is expected that the course shall be ready to welcome Golfers by the middle of next year. 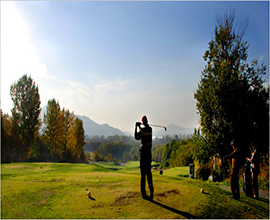 The Kashmir Golf Club has all the luxuries fitted that make playing golf a memorable experience. It is spread over 52 sprawling acres of lush land adjoining the Maulana Azad Road, the City’s main avenue. With well laid out bunkers and hazards, interspersed between chinars & pine, this professional 18-hole course and has been the venue of many tournaments. The course has common fairways and a par of 70. Associated with history of Kashmir Golf Club is its famous pro man of many golfing facets, the 98-year old Ghulam Mohammad. In 1930, he was the first golfing professional in India. He has trained hundreds of aspiring golfers during his long career as a golfing pro. According to Ghulam Mohammad, "golf is like an addiction. You can’t have enough of it."